Why a prosthodontist is your master dentist. 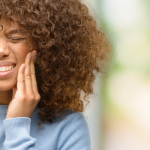 Did you know that over 36 million Americans don’t have any of their adult teeth, and 120 million people in the US are missing at least one tooth? Believe it or not, these numbers are actually expected to rise in the next twenty years! 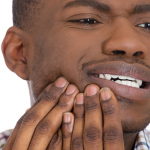 Missing teeth are one of the top reasons why people visit a prosthodontist. The best prosthodontists will take their time with you and help you to figure out the right option for you. A prosthodontist has extensive, advanced training beyond dental school and can help you with more complicated procedures. If you had cancer or a missing limb, you wouldn’t go to your family physician. You would see a specialist. In the same way, your prosthodontist is there to help you with the most demanding, specialized dental treatments. Dental Implants. Implants are a highly recommended procedure because of their high success rates and long life. With an implant, it’s very unlikely you’ll ever have to get a replacement. The procedure consists of the dentist placing an artificial root in your gum, which will then fuse to your jaw. A prosthetic tooth that looks and feels just like a real tooth will be placed on this root. Bridges and Dentures. 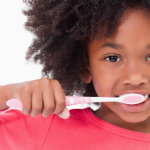 These are less expensive options for people with a missing tooth. 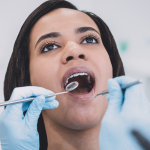 To make a bridge, your prosthodontist will place a crown on each side of your missing tooth, which will anchor the false tooth placed in between them. Dentures are a removable plate or frame which contain artificial teeth. Cosmetic Dentistry. Prosthodontists are also the “beauty doctors” of the dental world. Any dentist can call themselves a cosmetic dentist, but a prosthodontist is the only one who is qualified to restore form and function to your teeth. Have you been dreaming of a beautiful, healthy smile? 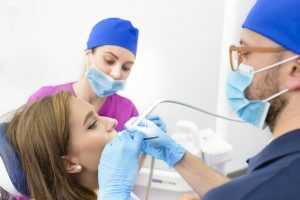 A prosthodontist may be able to complete the necessary treatments to give you an attractive, natural-looking smile that will last for many years to come.Besides restoration work such as dental implants, bridges, and dentures, prosthodontists can also improve the shape of your teeth with veneers or help you with jaw grinding (TMJ). Check out these TMJ relief techniques! Oral Cancer Treatment. Oral cancer can be treated effectively when it’s caught early on: another reason why we all need to be getting screened for it at our semi-annual dentist visit. Oral cancer requires a multidisciplinary team of specialists, including dental practitioners such as prosthodontists. Radiation treatment may damage the bone and the underlying tissue in a patient’s mouth. Prosthodontists carry out reconstructive efforts to help patients regain mouth function. If you have any of the above concerns, your dentist will likely refer you to a prosthodontist. You don’t need to look any further to find a prosthodontist. We’re pleased to offer Philadelphia’s only graduate prosthodontic program at Penn Dental Medicine. Our prosthodontic residents are highly committed to our patients and work tirelessly to ensure their best results. At the prosthodontic teaching clinic of the University of Pennsylvania’s School of Dental Medicine, you will receive care from some of the nation’s best and brightest residents who are learning from and supervised by expert and highly-knowledgeable faculty members. Nowhere else can you receive this level of quality dental care at an affordable cost. At Penn Dental Medicine, we pride ourselves in offering patient-centered care and services in every dental specialty, including prosthodontics. Make sure you use our 25% off coupon on your first visit! You can call PDM today at 215-898-8965.